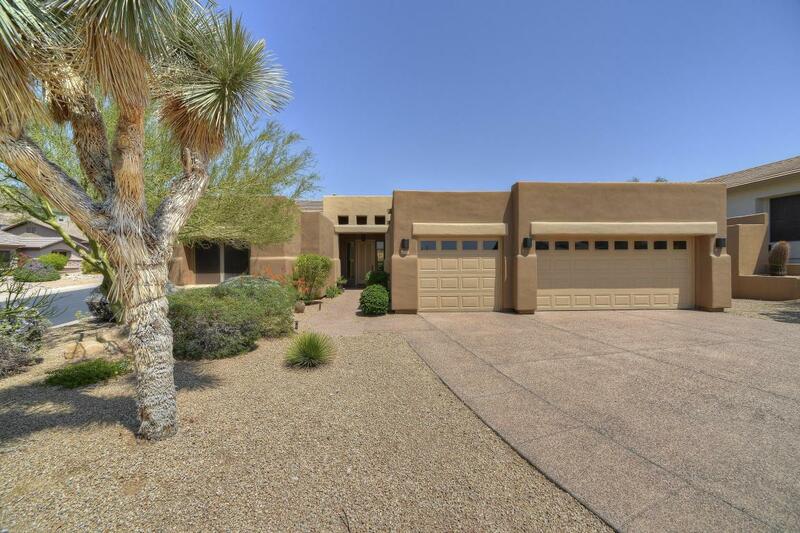 This lovely home on a cul-de-sac lot in guard-gated Eagle Mountain has a split floor plan, spacious rooms & mountain view. 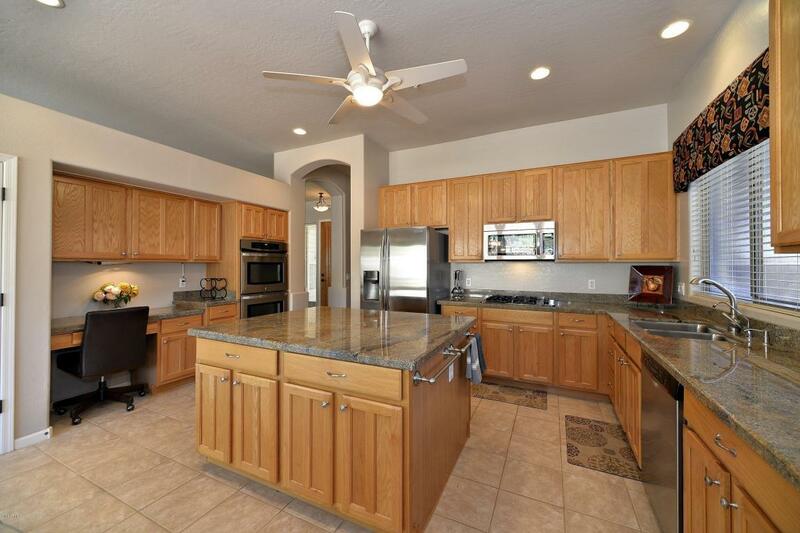 Great for entertaining, the center-island kitchen has granite counters, built-in desk, gas cooktop & stainless appliances including double wall ovens. 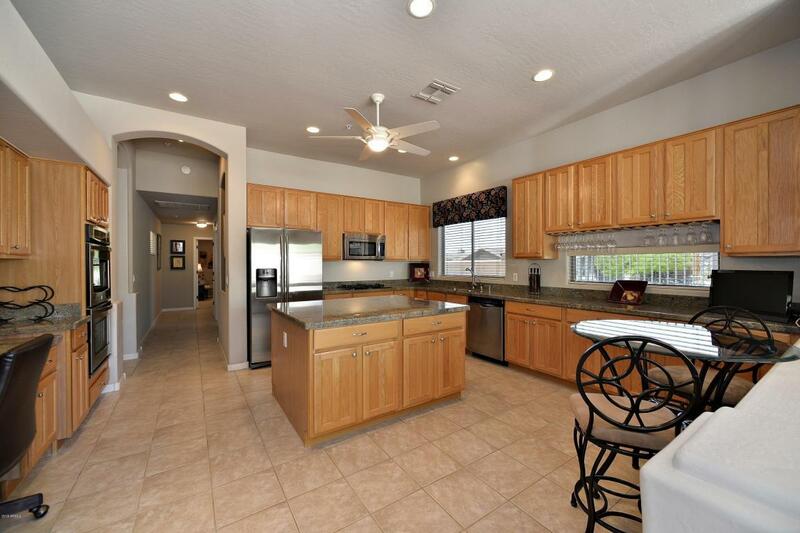 It is open to the dining room which could be used as a family room. The living room is spacious & inviting. Relax in your comfortable master suite w/ a door to the backyard, soaking tub, walk-in shower, double sinks & walk-in closet w/ built-ins. Have fun in the heated pool w/ water slide in your private backyard featuring a covered patio plus a flagstone patio w/ fireplace & built-in gas BBQ. Two guest bedrooms, office, full guest bath, powder room, laundry room & 3 car garage w/ work bench complete this beautiful home.New lights & hardware in baths. Some furnishings may be available with a separate bill of sale. Fountain Hills is a beautiful town known for its fresh air, gorgeous views, great schools and world-class golf and tennis. 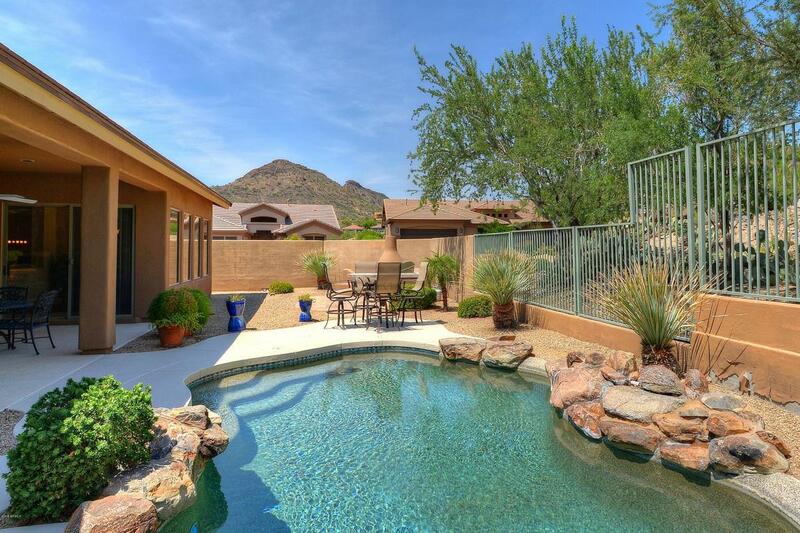 Many outdoor activities are within a 20-30 minute drive - hiking, cycling, boating, fishing, camping, horseback riding, plus popular areas of Scottsdale with wonderful dining, shopping, hospitals & renowned school, BASIS Scottsdale.